Bernie Sanders and his wife are being investigated for banking fraud. CNN has been caught red-handed admitting that the Trump-Russia narrative is "very fake news". Obama Attorney General Loretta Lynch is facing jail time for last year's behavior. Ethics scandals are generally accompanied by Jupiter-to-Pallas transits. At the moment, we have transiting Jupiter quincunx the US progressed Pallas. 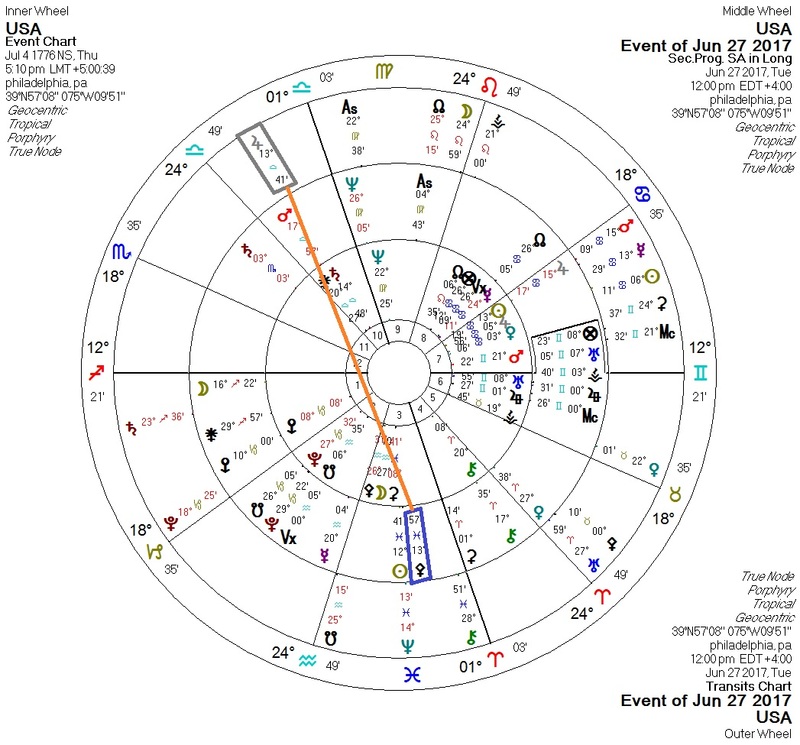 I also think that Jupiter-Pallas transits may also be correlated with large-scale cyber attacks. There's reportedly one happening now.